Jackson Duncan is struggling to figure out where he fits into Brennan Kennedy’s life. Adults now, events from their teenage years still plague Jack and Bren, as they try to carve out a life for themselves, hoping Jesse and Libby will do the same. Sharing a duplex for Honor’s benefit, Bren’s passive-aggressive need to always be the good guy, means Jesse is forever crossing every boundary Jack puts down. 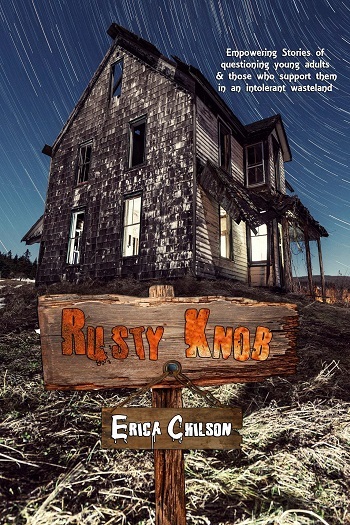 In Rusty Knob, West Virginia, boundary lines are either respected or blood is shed. Peace is going to take a Christmas miracle. 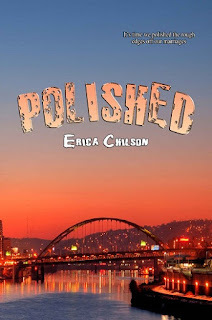 *Tied Knots is a novella also featured in Erica Chilson’s Holiday Anthology #1, along with Wonder and Massacre, offered at a discounted price. Usually when you get a Christmas novella you expect something full of Christmas cheer, someone discovering the meaning of Christmas, and a sweet happy ending. Tied Knots is a little more realistic. It is all relationship angst and family drama. After all, what is Christmas without a little drama? The evening I sat down to read Tied Knots I’d had a rotten day. Seeing Jackson struggling in his relationship with Bren gave me someone to root for and Jesse’s appalling behaviour gave me someone to point my day’s rage. It was just what I needed. I was thrilled to spend some more time with the characters I love from Rusty Knob and get a glimpse into how they celebrate the holidays, warts and all. By the time the story was over, I was feeling relaxed and I was pleased with Jackson and Bren and happily hating on Jesse. Tied Knots hit the spot for me. This is the fifth book in the series, and you really do need to have read the previous books to understand the dynamics at play. These are not simple – something which anyone who has read Erica Chilson's books will understand! I am writing this review assuming that you have read previous installments. This little glimpse at how life is panning out for Jackson and Brennan, living in the adjoining house to Brennan's ex-wife and her girlfriend. Duplex living designed to enable Bren's daughter to spend time with both her parents, is also meaning that Jesse retains the control and ignores all boundaries that should exist. We get a few examples of just how difficult everyday life can be, rather than the success of the parenting plan. Whilst not the happiest of situations when approaching Christmas, it does cause the problems to be aired, and hopefully resolved. Once Jesse admits her issues, there is a chance of success. I did laugh at the results of Bren's trip to the DIY store; he definitely did not want to be thwarted again! Loved the glimpses of other relationships and their status, and the very appropriate ending. Just the perfect read for a lazy Saturday morning (or any other time really). For reviews & more info, check out Stop #1 and Stop #2 on the Rusty Knob Blog Tour. 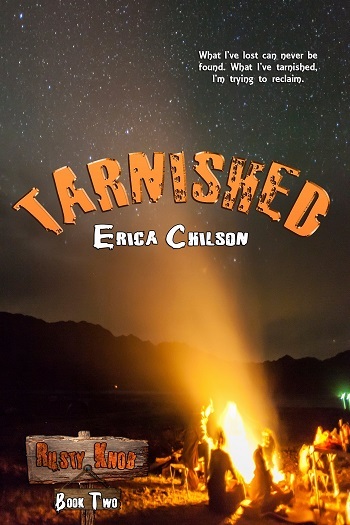 For reviews & more info, check out Stop #1 and Stop #2 on the Tarnished Blog Tour. 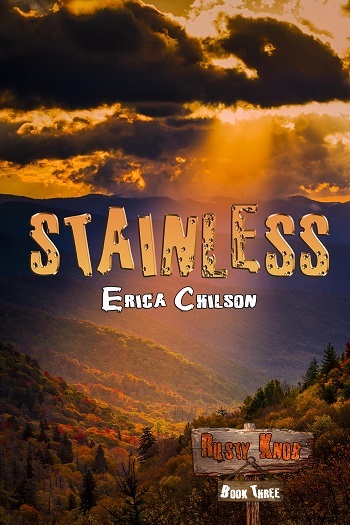 For reviews & more info, check out Stop #1 and Stop #2 on the Stainless Blog Tour. 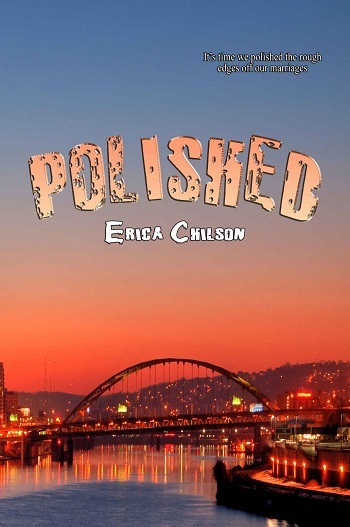 For reviews & more info, check out our Polished post. 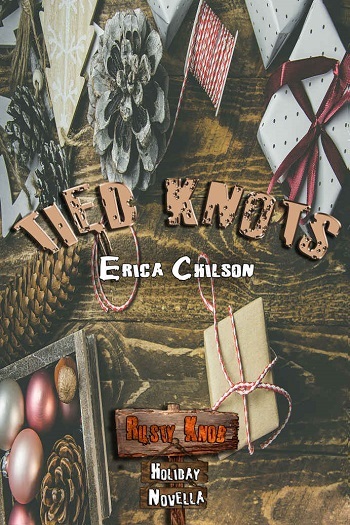 Reviewers on the Wicked Reads Review Team were provided a free copy of Tied Knots (Rusty Knob #4.5) by Erica Chilson to read and review.